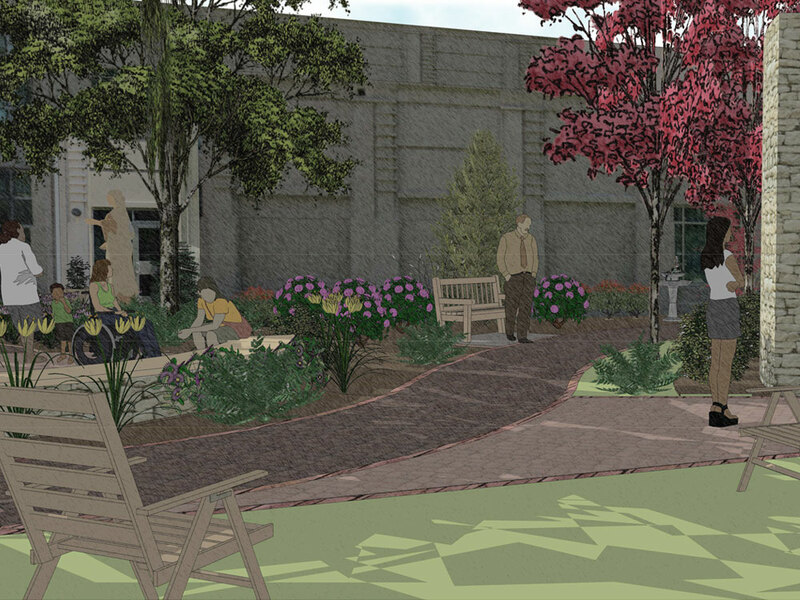 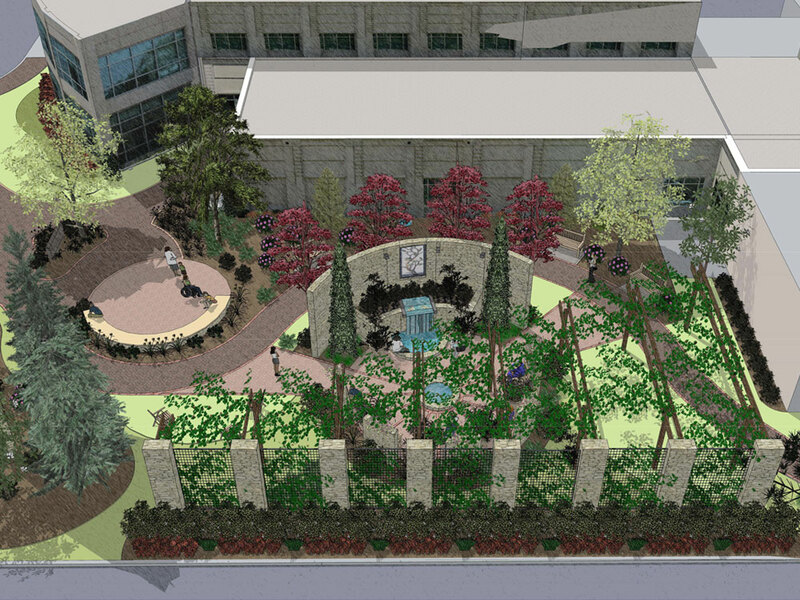 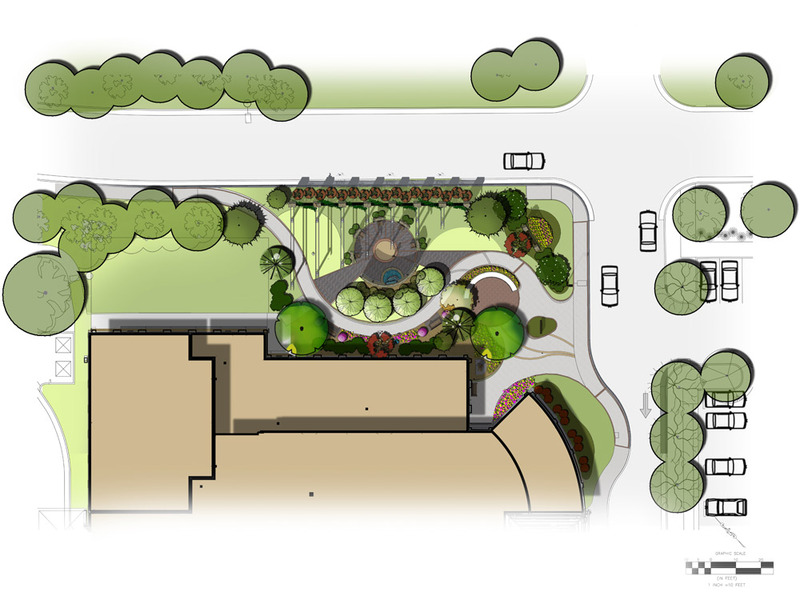 Land Studio worked with the Riverside Medical Cancer Care Center to assist them in the development of a healing garden for the patients, their families, and staff throughout the medical complex. 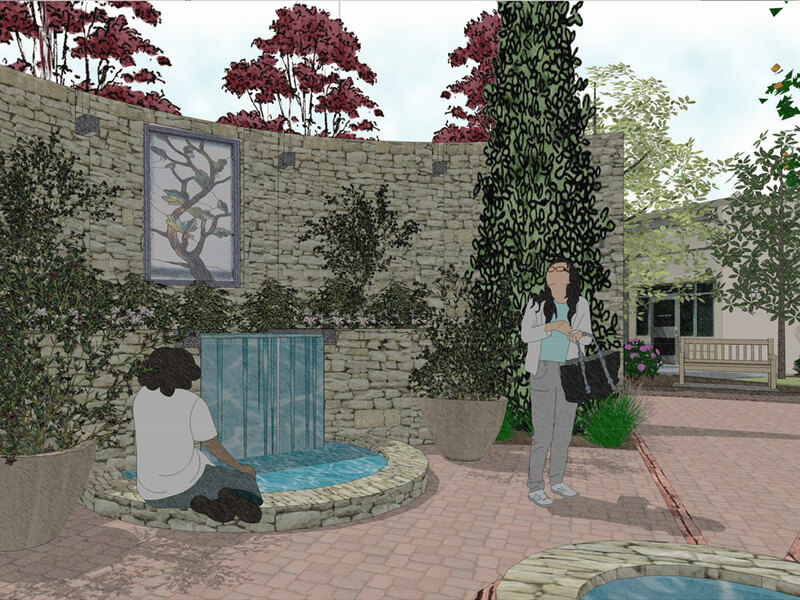 Our approach to the project was a scientific one, where an understanding of the patient and their emotional wellbeing, serve as the foundation for the design. 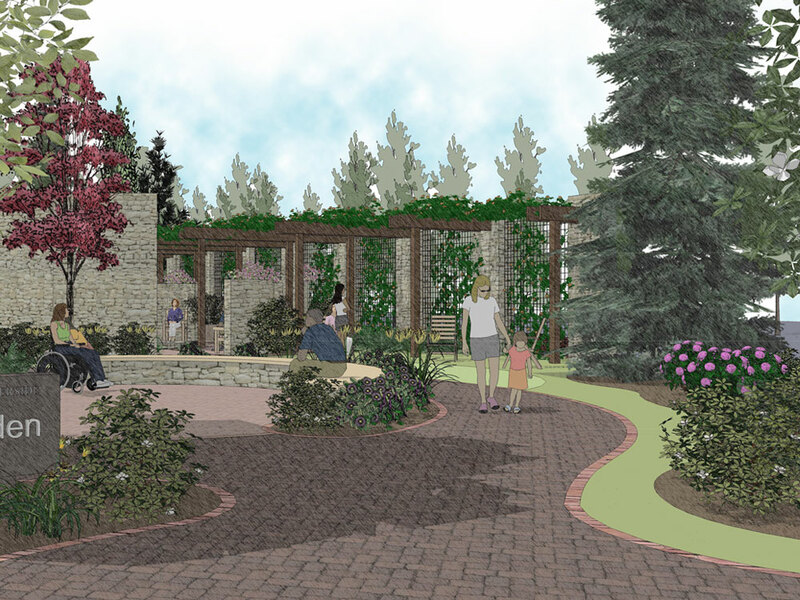 Proposed improvements to the garden play off the architecture of the building and include both large group areas and smaller secluded spaces, water elements, vegetated walls, and arbor shade structures. 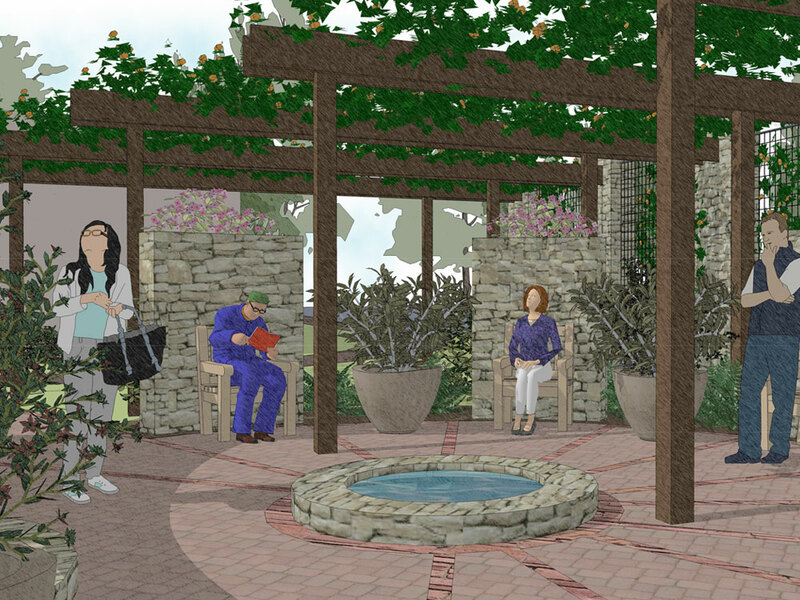 Through discussions with the patients, we proposed a variety of elements that responded to their strong desire for opportunities to interact with various features in the garden as they move through the treatment program.